ST. GEORGE — Washington County Sheriff’s deputies identified and apprehended an alleged aggravated robbery suspect Wednesday after the suspect reportedly posted a video about the altercation on social media. Deputies were dispatched to a report of a robbery at a cabin in New Harmony where a party was being held on Feb. 24, according to a probable cause statement filed by the Washington County Sheriff’s Office in support of the arrest. Upon arrival, deputies spoke with a man who reported that he had been assaulted at the party by a black male and a Hispanic male, threatened with a gun and then robbed, the arresting deputy wrote in a sworn statement. The cost to attend the party was $10, the man told authorities, noting that the two suspects paid to get into the party and attended the party for approximately 30 minutes before the party got shutdown. When the two suspects subsequently approached the man and demanded their money back, the man said he told them he didn’t have their money but agreed to take them to the person who might, the report stated. While walking to a barn outside the cabin, the man said the two men pushed him down and began hitting him in the head. The two suspects then got in a car and left with the man’s phone and wallet containing $80 in cash along with the man’s social security card, credit card, passport ID card and driver’s license, according to the statement. The man told authorities he had sustained a bump behind his ear where he was hit and that his hearing was muffled in that ear since the assault. On Feb. 26, while authorities were working to identify and track down the alleged suspects, the man located a video posted on social media by one of the suspects, who was subsequently identified as 22-year-old Chibuike Cletus Amadi, of St. George, according to the report. The video reportedly showed Amadi talking about the incident at the party. “The video shows a black male saying, ‘I just wanna say, f— that (pejorative omitted) who took everybody’s money last night. That’s why your punk a– got jumped, (pejorative omitted), and I got more than my ten dollars back, (pejorative omitted). Now you pocket-less,’” the deputy stated. 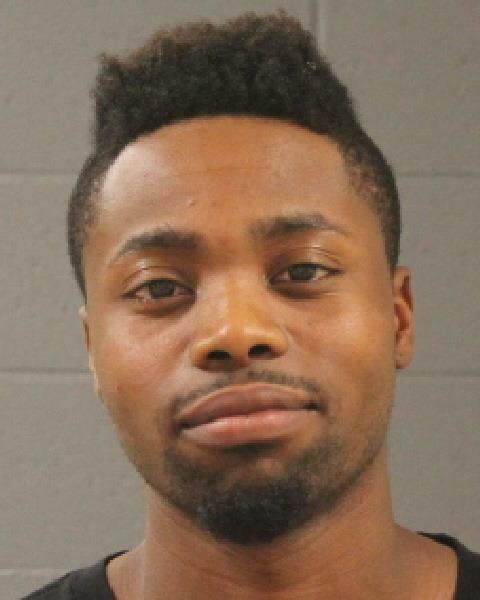 A Dixie State University campus police officer reportedly told authorities investigating the robbery incident that Amadi is “aggressive” and had been “a problem at several illegal alcohol parties on campus,” according to the report. On Wednesday, authorities detained Amadi and executed a search warrant on his St. George residence, according to the statement. During a search of Amadi’s room, detectives allegedly located a black handgun under a backpack located on Amadi’s bed. During questioning, Amadi allegedly admitted to being at the party and confronting a “Hispanic-looking male” near the barn with some of his friends because they wanted their money back, the report stated. Amadi told authorities a fight broke out with the man and that he hit the man in the head after the man hit him, according to the statement. Amadi further said one of his friends was responsible for taking the man’s cellphone and that the friend later threw the phone out the car window on Interstate 15. Amadi was arrested and transported to the Washington County Purgatory Correctional Facility. As this report is published, it is unclear if a second suspect in this case has been identified or arrested. The Washington County Attorney’s Office filed an information in 5th District Court accusing Amadi of first-degree felony aggravated assault, along with class B misdemeanor assault. According to Utah Court documents, Amadi has been having run-ins with law enforcement in Utah since 2014, having been arrested or charged on separate occasions for forgery, theft and unlawful possession of alcohol. On multiple occasions in 2016, Amadi faced alcohol- and drug-related charges. In January, Amadi was arrested on charges of criminal trespass and theft of service. Chibuike Cletus Amadi? Sounds foreign. Must be one of Obama’s refugees. So you’re saying he’s a member of your group Bob ? Seriously, how long are you going to whine about the black guy that lived in the White House for awhile? At least try to act like you have some self respect left; even though, the whole world was watching the constant whippin Obama & Clinton laid down almost daily on you Republican Crackers for eight long years! And, oh my! You devils had to sell your souls this time to get back in; and you did. Every single one of you! You need to get some self respect yourself and get your facts straight. Hillary Clinton was a member of the Obama administration from 2009-2013, serving a disasterous 4 years as Secretary of State. The last 4 years of the Obama administration, Hillary was busy shaking down donors for the pay-for-play Clinton Foundation as she made her unsuccessful run for the presidency. Sounds like a real winner. Lock him up and throw away the key. He is not a contributing member of society. We don’t need thugs in this world walking around. Get rid of him. I wonder if he’s majoring in Criminal Justice? Nope Psychology I helped him with his homework. If the University police knows him as a troublemaker, why then iOS he still allowed to attend? Kick his a$$ out and send him home. 1, 2 , 3 you’re out!